Saw this today and had to gush! 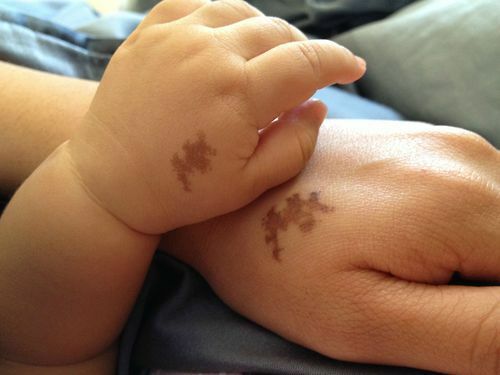 This is an idea that if your child is born with a birth mark of some kind, you can get a tattoo of the same mark on the same spot of your body. How creative!